'Mujhay Jeenay Doh' is an upcoming drama which will be telecast on Urdu1 Channel. The drama is written by Shahid Nizami.The drama is produced and directed by Angeline Malik under the banner of Angelic Films which is known for the longest running television series in Pakistan, Kitni Girhein Baqi Hai. 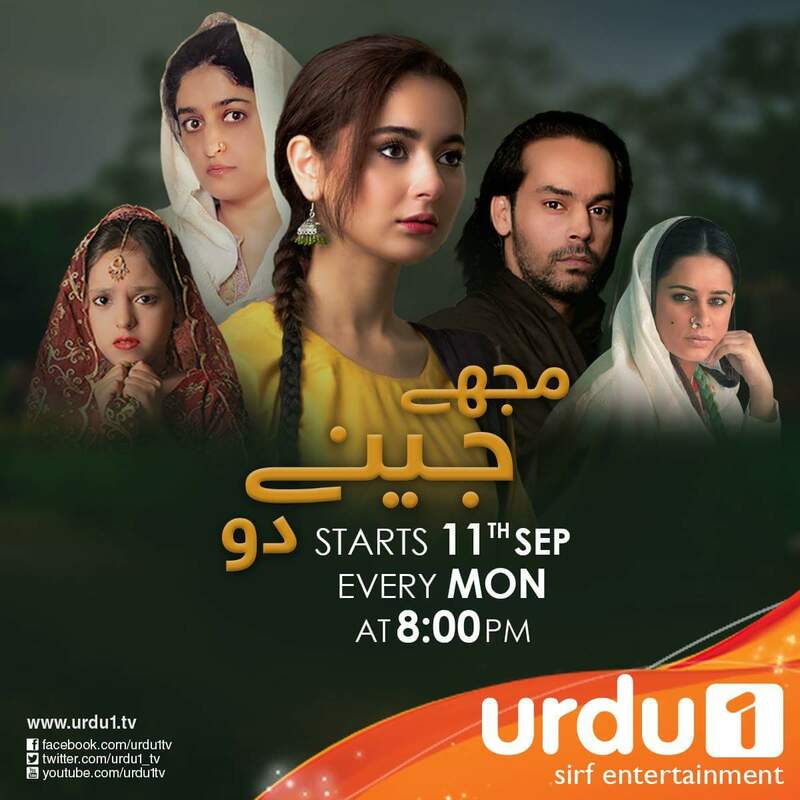 The show revolves around serious issues and questionable rituals such as domestic violence, child marriage that are prevalent in our society. The story incorporates all the dramatic elements, and at the same time sets out to educate the audiences on social issues that are embedded in our culture, and bringing forth women empowerment.